Allied Health Services is a company that specializes in Supplemental Staffing for health care organizations such as hospitals, clinics, outpatient surgical areas, and medical facilities in the greater Houston metropolitan area. We provide qualified, competent, skill-matched personnel who meet the qualifications set for hiring of personnel in your company. 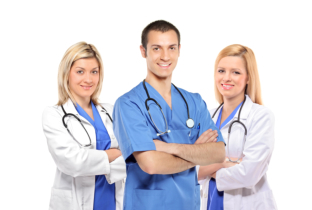 Our staffing services include Specialty Registered Nurses for Emergency Rooms, Perioperative Services including Pre-op, OR, and the Post Anesthesia Care Unit, Critical Care, and Medical/Surgical Nurses. Other professional groups included in providing for their current staffing needs are Licensed Vocational Nurses, Certified Nursing Assistants and Scrub Technicians for the Operating Room as well as health care professionals that can provide private duty care. 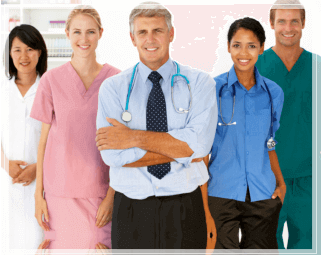 Allied Health Services has an extensive reputation for being a quality provider of Nurse Staffing and Health Care Personnel for hospitals all over the Greater Houston area. It was founded by Helen J. Dichhoso as a temporary nursing agency in 1987. The initial staffing focus was on providing Specialty ICU nurses who supplemented the staffing in Critical Care units of several major hospitals in the Houston Medical Center. In 1988, Allied Health Services expanded services to provide additional health staffing in other nurse specialties (Pre-operative, Operating Room, Post Anesthesia Care Unit, Medical Surgical, Telemetry, and Emergency Room). Since 1987, Allied Health Services has continued to grow as one of the most reputable staffing agencies in the city for hospital, clinics, and outpatient surgical centers. Quality has always been the cornerstone for Allied Health Services as demonstrated by the agency having The Joint Commission Certification for Staffing Agencies. Entrepreneur of the Year Award – Health Category sponsored by Ernst & Young, recognition for delivering consistently high quality services. Cora Bacon Foster Award for, “Women Business Owner of the Year Award” from the Greater Houston Chapter of the National Association of Women Business Owners.